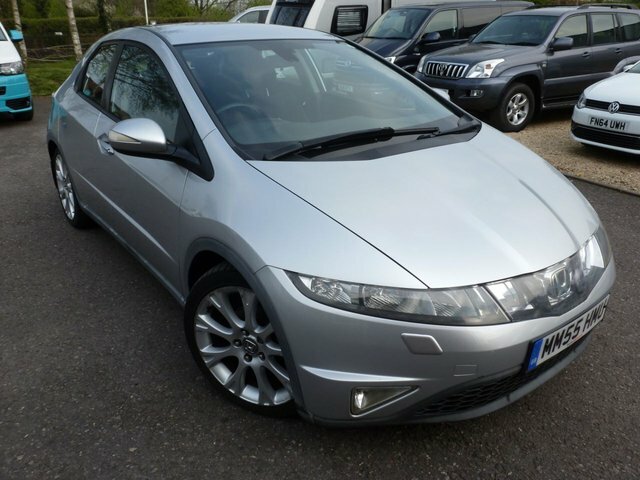 High specification Part exchange Honda Civic, Navigation, Reversing Camera, Cruise control, 2 keys, 18" alloys,Full service History. From practical hatchbacks to tough-looking SUVs, Honda's impressive line-up has something to offer every driver. Here at Autotechnics you'll be able to choose from an outstanding selection of quality pre-owned cars, all of which come fully tested for your peace of mind. Test drive a used Honda Jazz and decide whether this stylish and spacious city car is the one for you. Alternatively, take a closer look at a used Honda CR-V, a highly capable crossover that's exceptionally versatile. Contact a member of the team today to find a used Honda for sale in Gillingham that meets your specific requirements. Call, get in touch through the website or pay us a visit in person. Finance is available to UK residents aged 18 years or older, subject to status. Terms & Conditions apply. Indemnities may be required. Other finance offers may be available but cannot be used in conjunction with this offer. We work with a number of carefully selected credit providers who may be able to offer you finance for your purchase, commission may be received. We are only able to offer finance products from these providers. Postal Address: Autotechnics, Unit 21, Brickfield Business Park, Gillingham, Dorset SP8 4PX. Find contact details here.